This guide is based on Android 2.3 (Gingerbread) & VirtualBox 4.1.8 running on Microsoft Windows XP. I choose Android 2.3 because I own a Samsung GALAXY Y (S5360) hand phone which preloaded with Android 2.3. I always test the applications on my computer before I download to the hand phone. 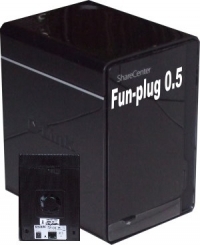 This guide is based on fun_plug 0.5 & D-Link DNS-320 ShareCenter and assumes an SATA hard disk is installing to the DNS-320 ShareCenter formatted as ext3. This is a guide on how to restore from DD-WRT to the original stock firmware. The router that I'm using is TP-Link TL-WR1043 Ver 1.8. WinSCP is an open source free SFTP client, SCP client, FTPS client and FTP client for Windows. Its main function is file transfer between a local and a remote computer. I use this sofware to transfer files from my WinXP computer to the router. PuTTY is a free implementation of Telnet and SSH for Windows and Unix platforms. I use this software to SSH to router & perform flashing command. This tutorial show you how to install PHP on the TP-Link TL-WR1043ND router. I assume you already have a working installation of OpenWRT on your router. 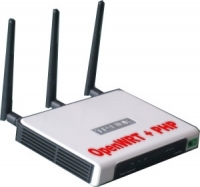 Click here for more about OpenWRT. You can refer to my previous post http://ediy.com.my/index.php/blog/item/2-openwrt-on-tp-link-tl-wr1043nd-router to upgrade firmware to OpenWRT.